I am currently working for The Daily Telegraph on a series of articles, sponsored by mobile phone company EE. 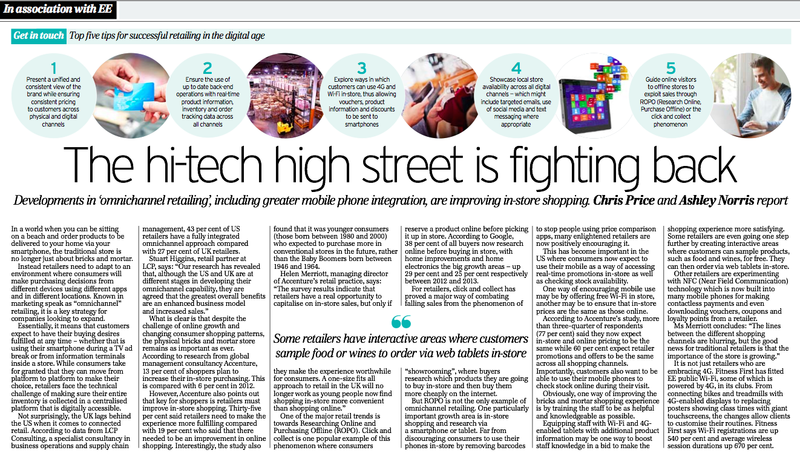 In this latest edition I wrote a piece about how adopting an omni-channel, or connected retail, strategy can help retailers to grow their business. 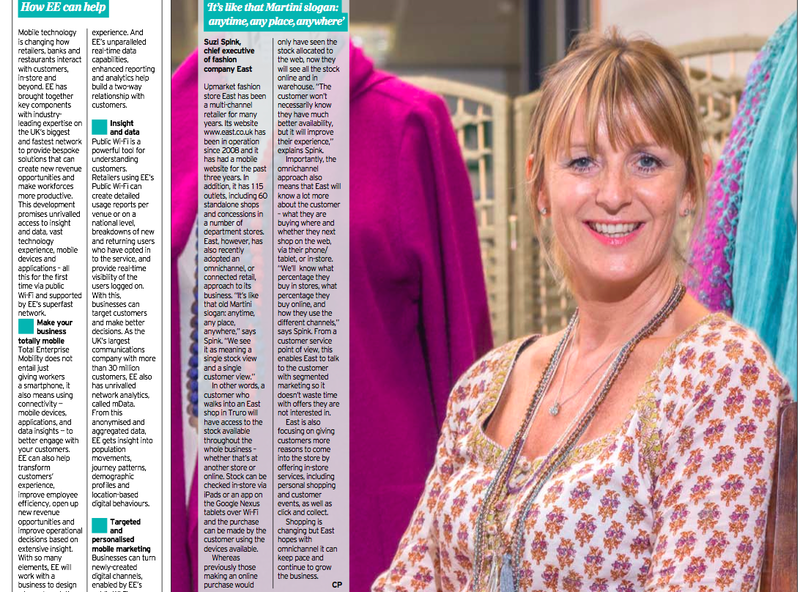 For the piece I interviewed Suzi Spink, CEO of high end Fashion Retailer East. In the piece she talks about the company’s plans to integrate offline/online inventory to give customers more choice when buying and about new initiatives to get customers visiting stores such as Personal Shopping and Click and Collect. Click on the link below to read the full articles in PDF form that appeared in The Telegraph (August 13th, 2014).